Upcycle a standard metal coffee can into an attractive kitchen tool holder by painting or covering the sides with a nice piece of fabric. Or, use decorative paper to make a nice-looking container to hold scissors and markers for arts and crafts. You can also paint the outside of coffee cans and poke holes in the bottom to make coffee can flower pots for herbs or small plants. For kids, transform a can into a piggy bank by cutting slots in the plastic top and decorating with stickers. Cut the tops off plastic, gallon-sized milk jugs and fill them with sand to hold a candle steady. Line the cartons along a driveway or walkway for a great holiday or night time party effect. Or, use quart-sized milk containers as candle molds to make unique, new candles to use as decor. Regular cardboard milk cartons also offer a multitude of craft ideas, such as milk carton sailboats, milk carton traffic lights and milk carton bird feeders. Wine bottles are perfect for dressing up with ribbon, paper, fabric, or leaving as-is to make flower vases. You can go for a rustic look at a dining table by placing candles in a pair of matching bottles. Melted wax down the sides also makes for a very romantic, Italian eatery feel. 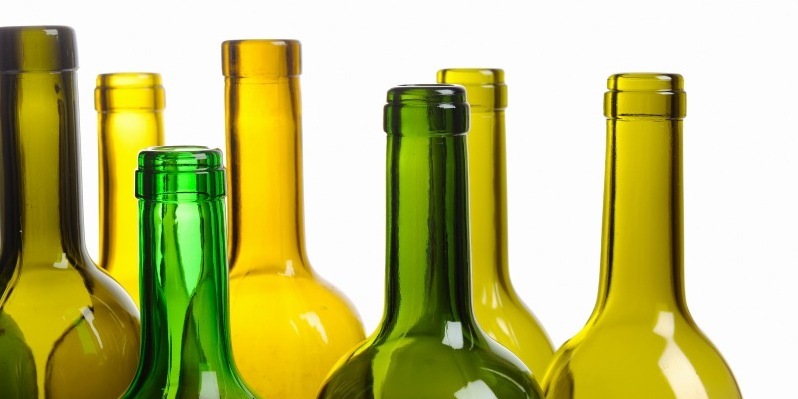 Interesting bottles, such as those with clear glass, unique labels, and distinct shapes can act as beautiful shelf decor on their own. The inside cardboard roll of your paper towels is great for holding and organizing folded plastic grocery bags, preserving documents by rolling them up to prevent creases, or organizing loose ribbon by wrapping around the roll. Paper towel rolls also make excellent boot trees for propping up knee-high boots. Remove the labels from baby food jars and keep your nails, nuts, bolts, and screws organized in a tool drawer. Or, for the crafter, use them to collect and organize everything from push pins to beads to glitter. In the office, store a small stash of rubber bands and paper clips in such jars. For the cook, small baby food jars make great containers to hold homemade spice mixes and dried herbs. Repurpose a parmesan cheese container into a holder of all things shaken, such as a sugar and cinnamon mixture to distribute on your morning waffle or glitter that can be easily shaken onto crafts. Or, fill it with baking soda to use along with your cleaning supplies for sprinkling into sinks or onto the carpet. It also makes a nice container for taking kids' snacks on the run (think goldfish, mini pretzels, or any bite size foods). Your butter, Cool Whip or deli meat containers are perfect for using as take home containers for guests or freezing foods. In addition, they make useful tubs to store dry goods, art supplies, office supplies, and small power cords in one place. For food items, just be sure to avoid heating things in these containers as certain types of plastics can leach into foods more easily. Those green mesh-like baskets that hold fruits and berries at the supermarket make great under-sink storage for sponges and microfiber cloths. Or, cover a basket in fabric to hold small items, such as business cards, phones and chargers, or spools of thread. You can also follow Martha Stewart's guide to decorated berry baskets for a cute gift idea. 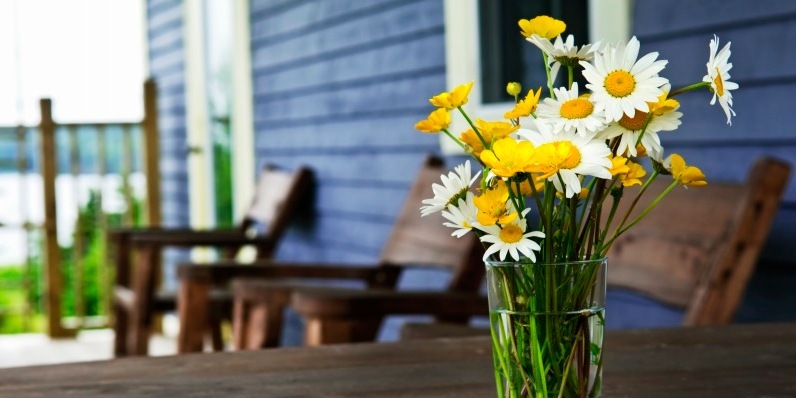 Large-sized jars, like those for spaghetti sauce or pickles, make great homemade vases. Simply decorate the outside with ribbon, glitter, or other embellishments. For faux flowers or to make a shelf display of painted jar vases, pour colored paint inside a collection of jars. Large jars can also hold hair brushes, large cooking utensils, paint brushes, and tools. And lastly, there's no need to buy mason jars when you can reuse your large jars for making your own soups and sauces. Use your mesh bags that hold bunches of oranges, lemons, or onions to make kitchen scrubbers. If you wad a few bags together into a ball and secure them with a rubber band, you now have a great tool for scrubbing pots and pans. You can also string a thin rope or shoelace through the top of these bags to make an easy closing tote for carrying items to the beach or small sports equipment to the field. Also try to take empty ones to the farmer's market to use for new produce you buy. Once your dish liquid is gone, fill the bottle with vinegar to use for cleaning jobs around the house. I especially like this use for cleaning glass shower doors, as it's easier than lugging a jumbo bottle of vinegar around. Squirt bottles also work great for other cleaning solutions, like carpet cleaners and clothing stain removers, where you want to disperse liquids onto targeted areas. If Starbucks or any other coffee shop is a regular part of your day, then start collecting your coffee sleeves to use for starter seeds for indoor plants. If you're crafty, you can cut sleeves into shapes to make artsy, corrugated gift tags to use on presents, or try making yourself a coffee sleeve wreath. And, one very green action is to literally save your sleeve and use it again for its original purpose during your next visit to the coffee shop. 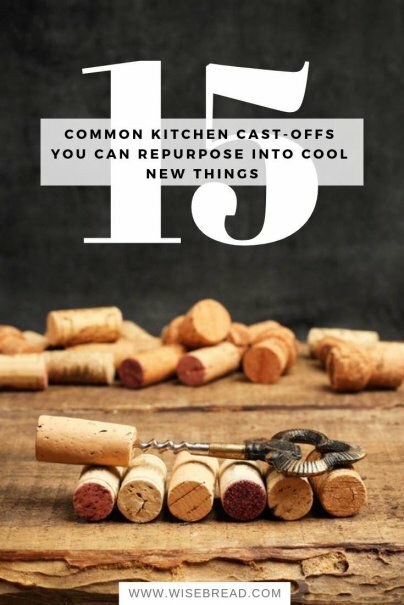 What other items do you repurpose around the house? Besides the reuses shown in the article, let me add a couple of more. I reuse plastic bread bags. They're great for storing homemade breads and muffins. They're also handy for storing meats like ground beef in the freezer. I divvy ours up into approximately one pound packages, flatten them for easy stacking, twist just above the meat pushing air out, then folding the excess plastic back onto the package before securing tightly. This makes a double thickness of plastic and protects against freezer burn. Another item I've found a reuse for is large dry pet food bags. They fit perfectly inside tall kitchen garbage cans, and are tougher than store bought bags. I haven't bought a plastic garbage bag in years! Great list! Add to #4, paper towel rolls: Wrap Christmas tree or holiday lights around them for (almost) tangle-free storage during the rest of the year.